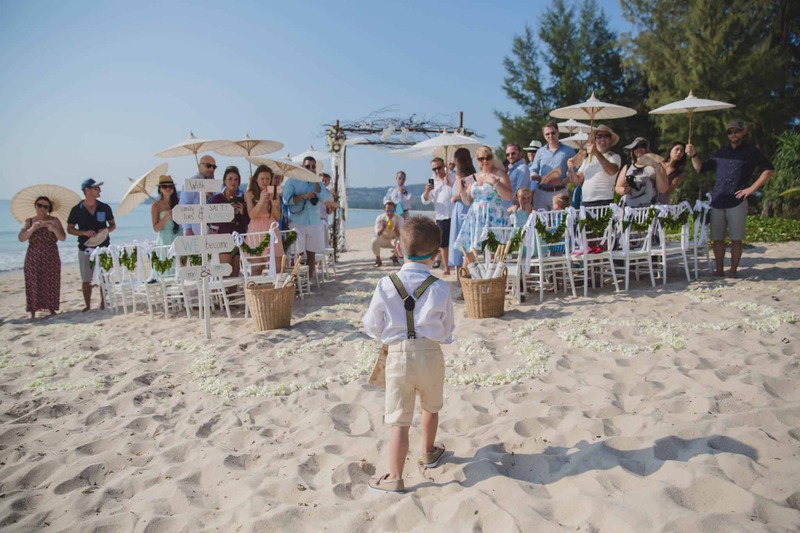 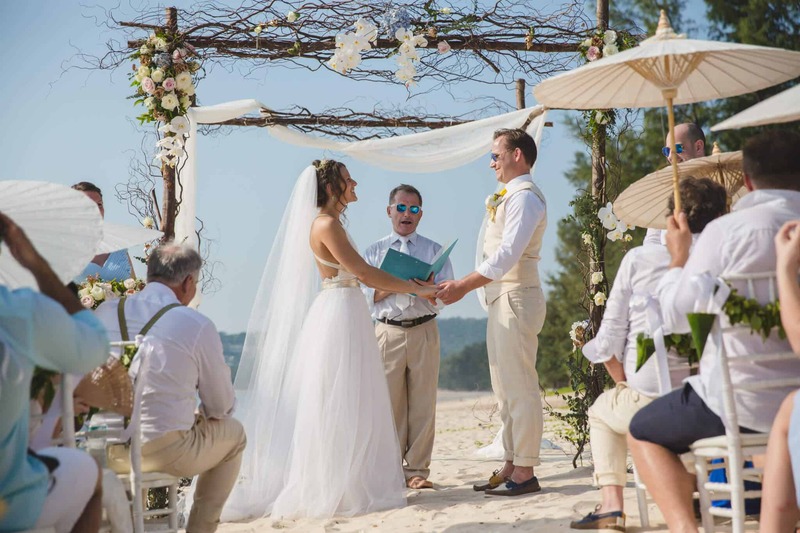 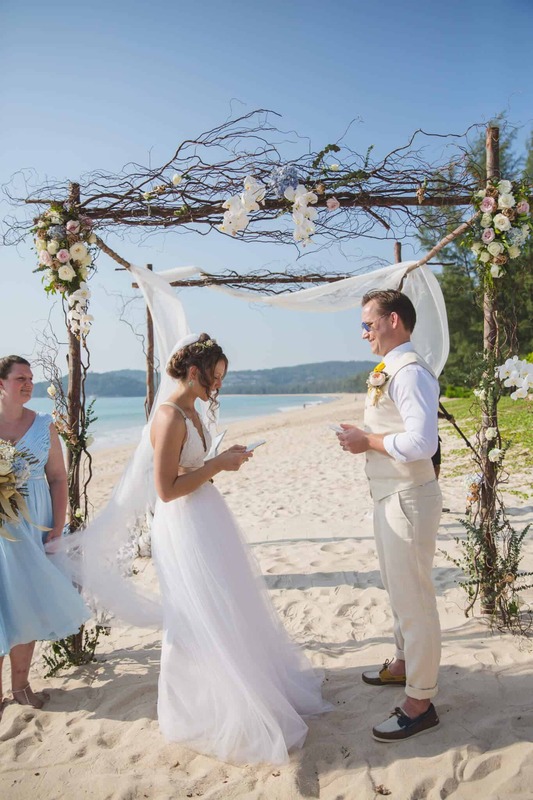 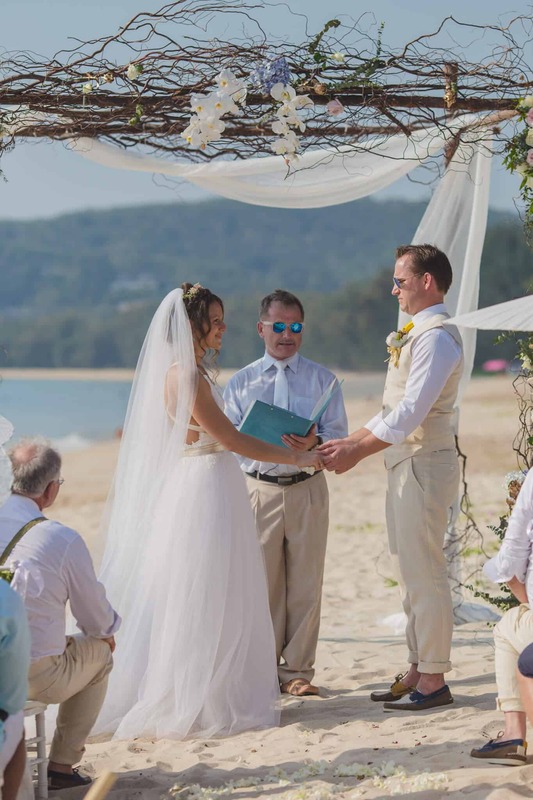 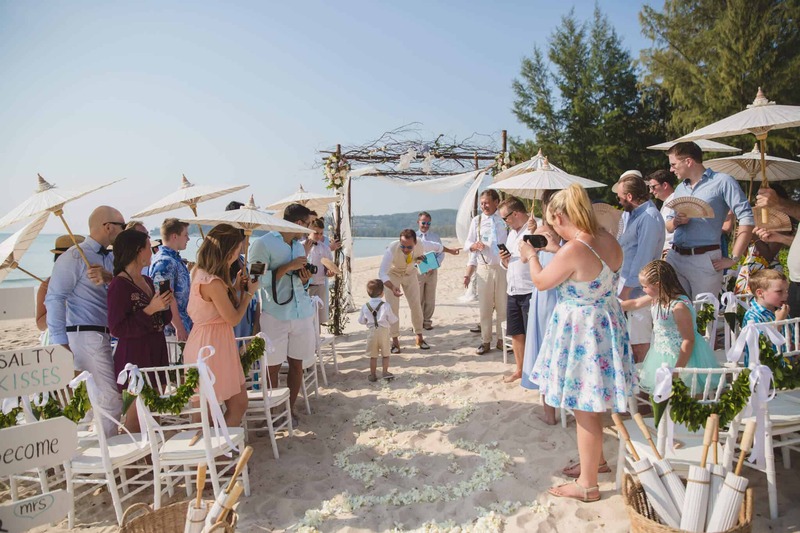 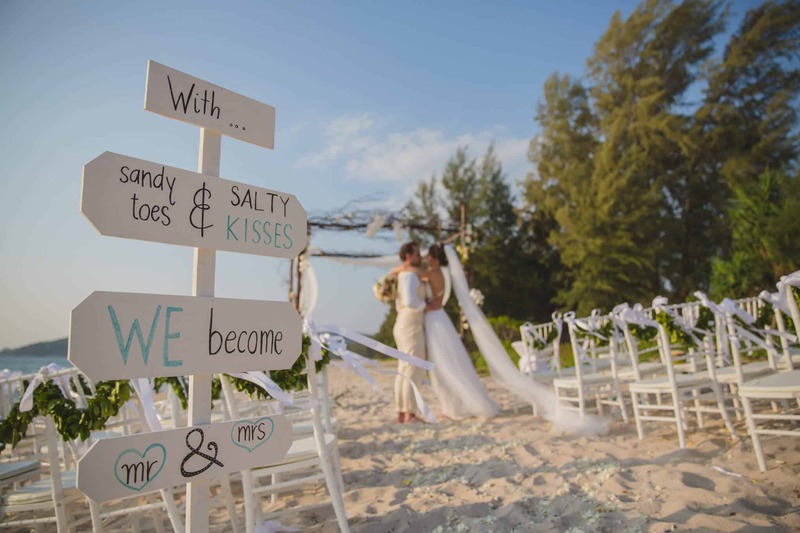 The guests came from all over the World to the beautiful Phuket Wedding of Clifford & Viktoriya and I was privileged to be asked to be their Beach Destination Wedding Celebrant. 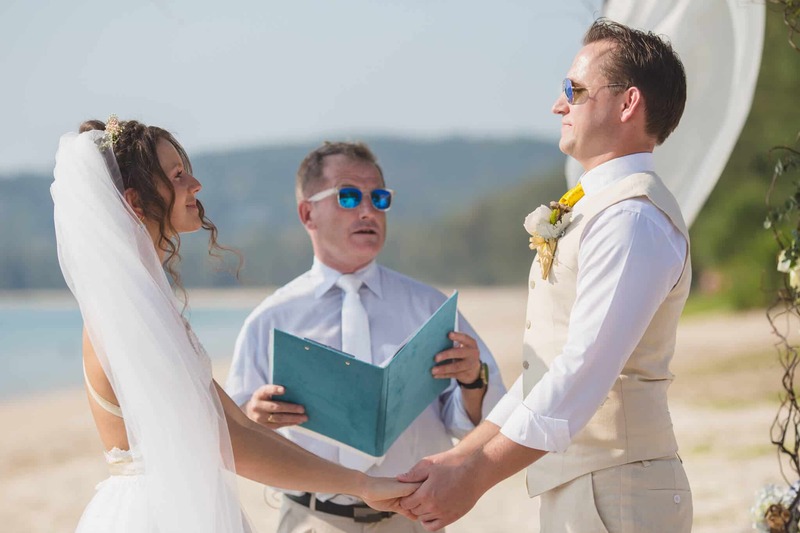 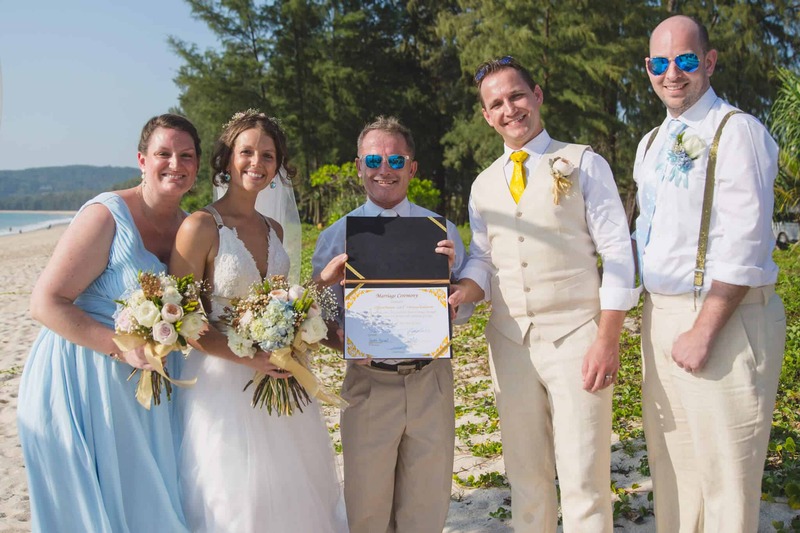 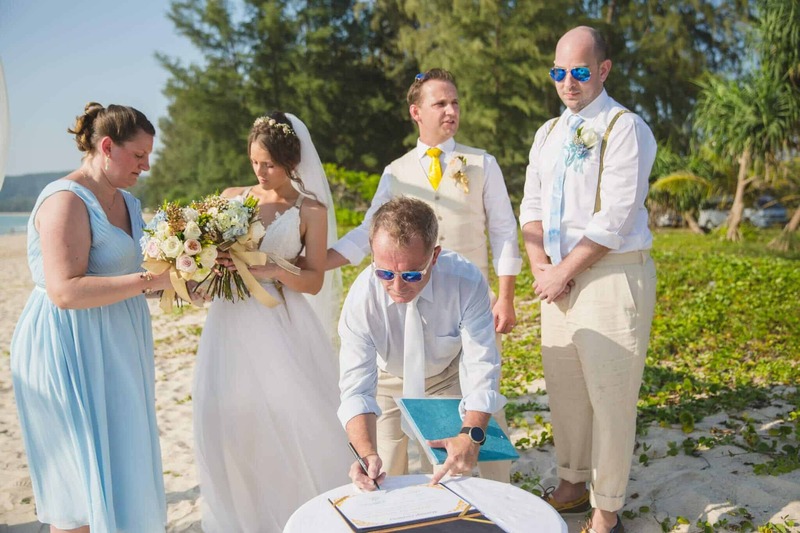 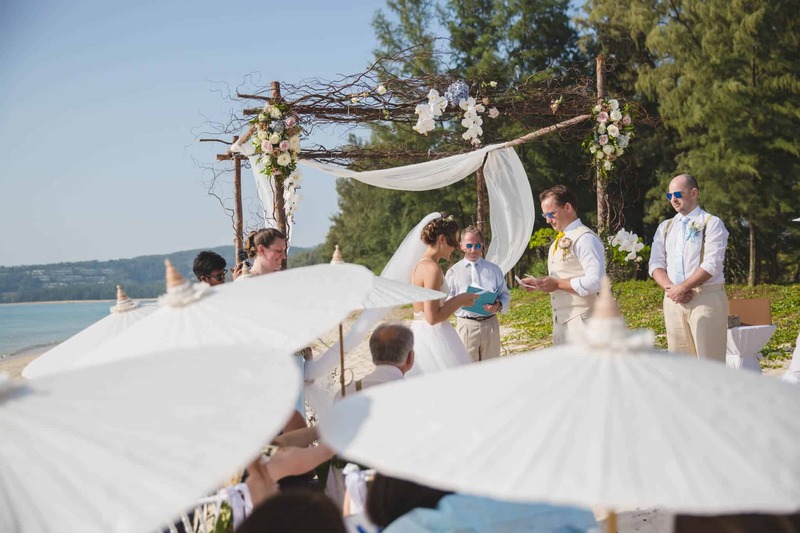 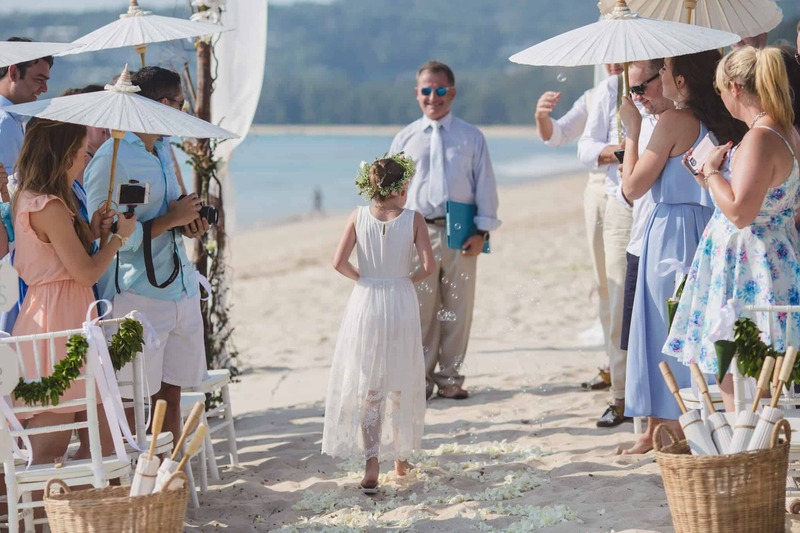 This was a perfect day in Phuket and the weather was stunning; it was an early Wedding ceremony due to a large Wedding Reception at Villa Baan Chang Thai later in the day; we started at 4 pm, the sun was very bright and it was decided that we all had to wear sunglasses. 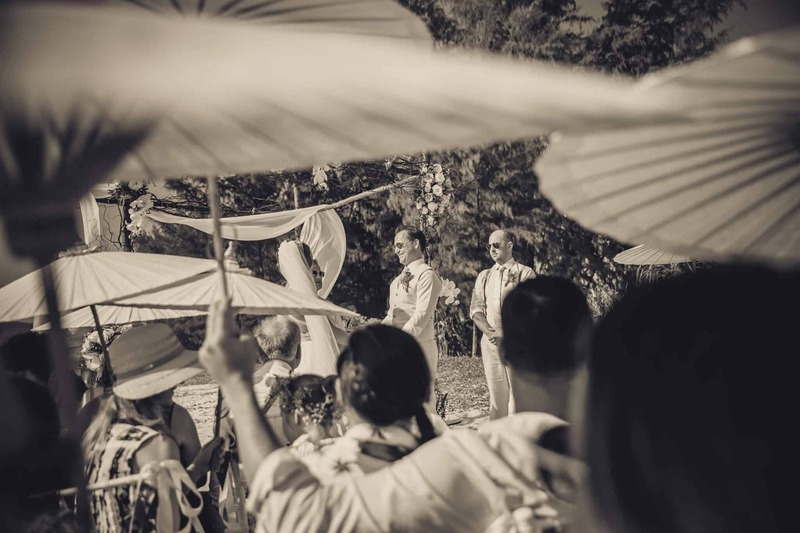 The guest all had umbrellas and fans with cold White Spritzers ready for after the Wedding Ceremony, so Clifford & Viktoriya had thought about everything. Viktoriya was stunning as she walked down the aisle to Frank Sinatra. 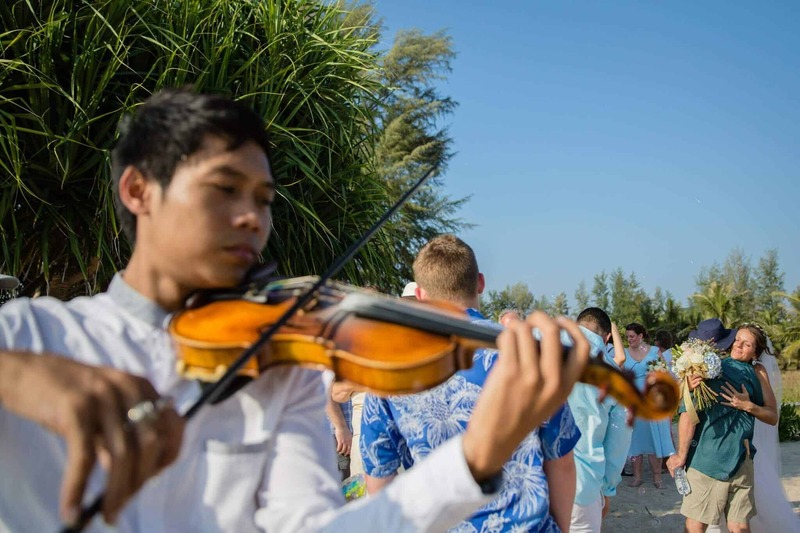 As a surprise for Viktoriya, the music was played live by a local violinist Khun den who did a superb job. 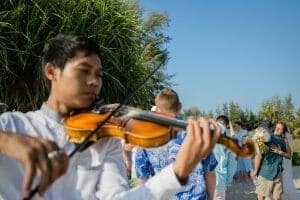 He played all the music live for the Ceremony that just added to this spectacular Beach Wedding Ceremony. 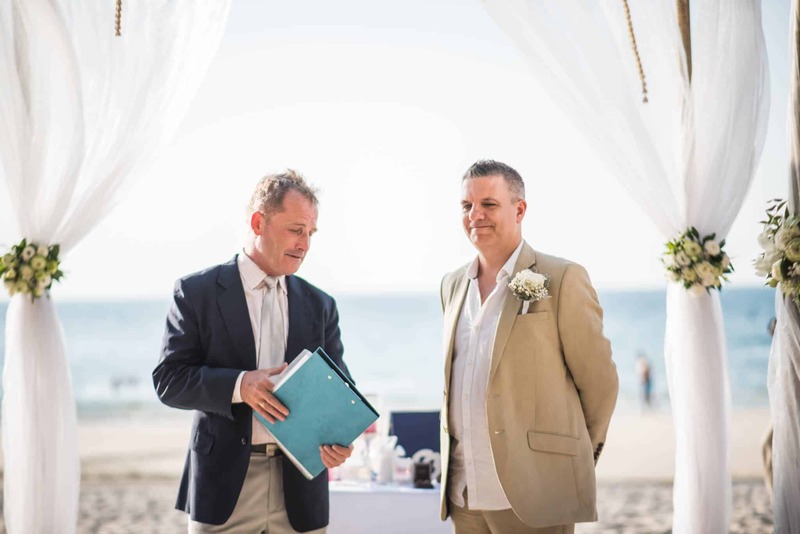 The attention to detail was everywhere and this included the wonderful Wedding Ceremony & Wedding Vows that we worked on together in the weeks preceding this year-in-the-planning Wedding and the Wedding Ceremony was impeccable for the newly married couple. 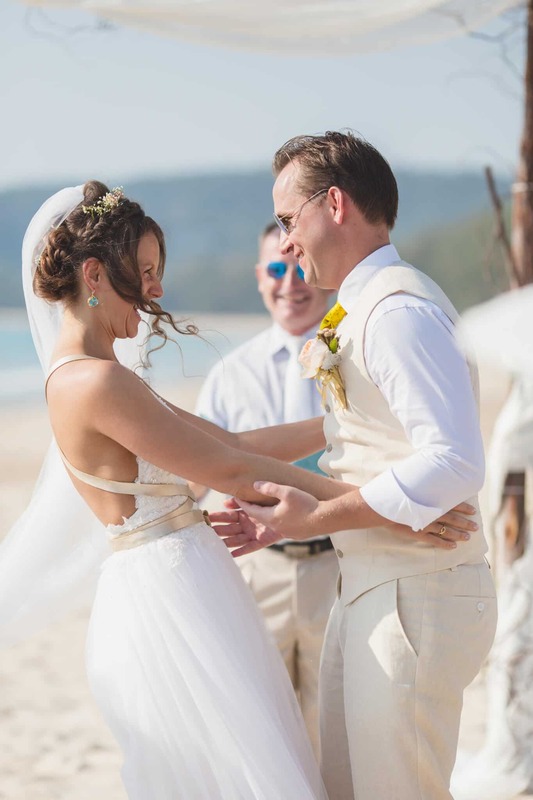 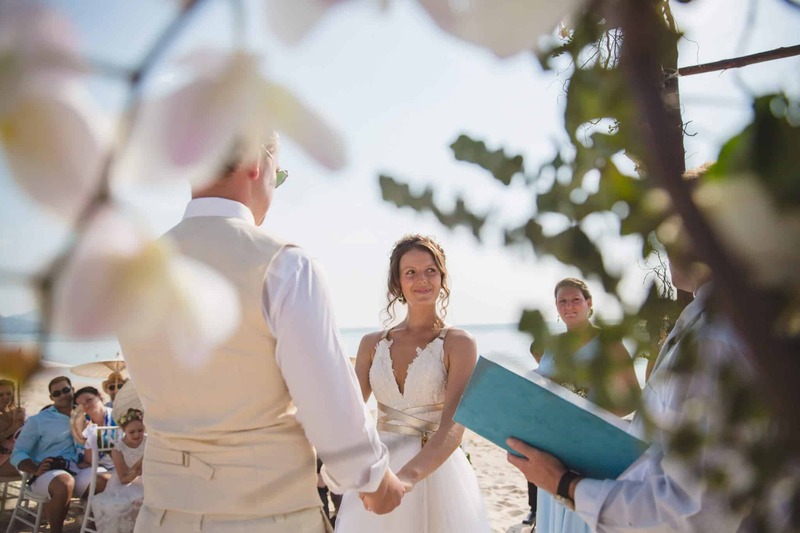 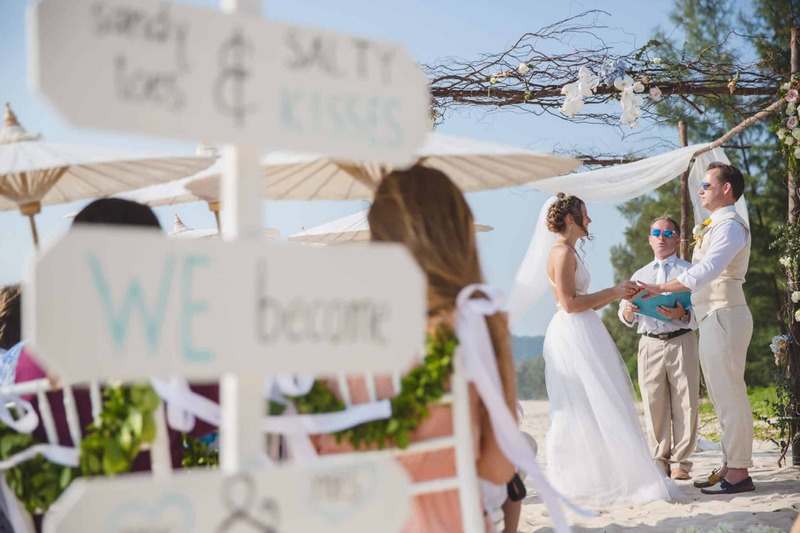 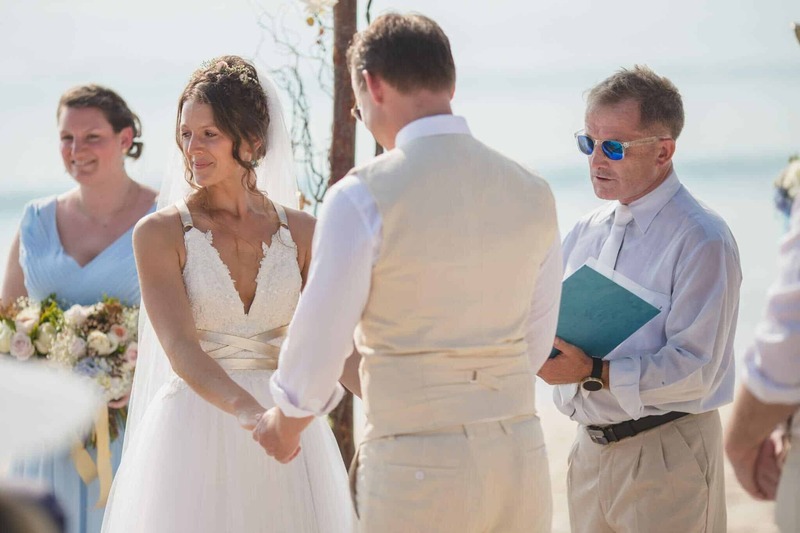 The live music and stunning Photography and Videography by Madiow Photography completed this special beach Wedding Ceremony and fond memories for this experienced Wedding Celebrant. 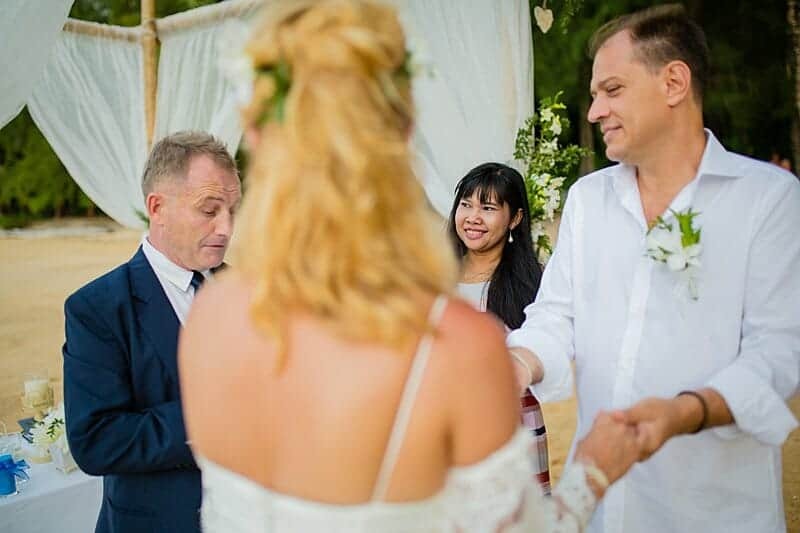 Thank you Clifford and Viktoriya for entrusting me with your special day.